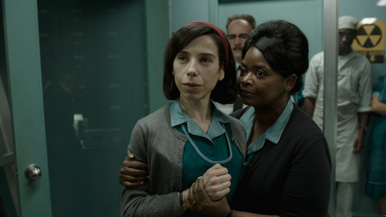 A wild weekend in which two of the three main Oscar guilds delivered a split decision for their favorite movies of the year has some Oscar prognosticators scratching their heads. Is it Three Billboards or is it The Shape of Water. The ink is not even dry on the nominations—heck, THERE ARE NO NOMINATIONS--but it is looking more and more likely that one of those two movies will win Best Picture. But which one? I’ll discuss the pros and cons for each today. I really think it is too close to call. Follow me on Twitter @jdonbirnam and Instagram @awards_predix for live updates on Tuesday. Four actors have, this year, won the BFCA, the Critics’ Choice, and the Golden Globes. They are Frances McDorman, Gary Oldman, Sam Rockwell, and Allison Janney. The last time that happened? Never, Twitter tells me. And if you add BAFTA wins to some of those, their Oscar wins become near certainties. I am not currently able to look it up, but someone surely will tell me: how many times has an actor won all four of those and then lost the Oscar? It has happened (the name Lauren Bacall is in my head) but it is rare. The Producers Guild spoke first on Saturday, and after eleven historic nominations, they decided under their preferential ballot to award the fantasy romance story The Shape of Water the Outstanding Production of the year (Coco and Jane won their categories, making their own races probably less interesting too). If you have followed the Oscars and/or this column for any period of time, you know that the PGA has had a remarkable run of success since the preferential Best Picture ballot began ten Oscar races ago. The first eight in a row, the PGA predicted the Best Picture winner correctly, even in tough years. That is pretty good.